We are proud to announce that Neo is coming to Apple Watch and for those of you with an Apple Watch, we think you’re going to love it. In addition to being able to view every neoStat in your home, having the ability to apply a temperature hold and boost your hot water, Recipes on Neo is the all new feature that we think will change how you interact with your heating system. 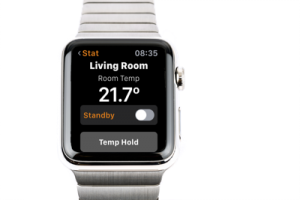 With the Neo Apple Watch App, you can view the Live Room Temp for every room, you can enable a temperature hold or place the zone into Away mode. 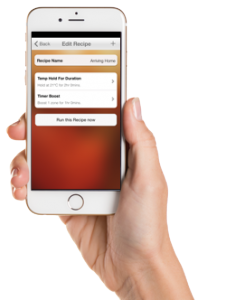 Recipes on Neo works on iPhone and iPad devices and allows you to pre-configure a series of actions that are run at the touch of a button. Once you have configured the actions, your recipe is ready to run whenever and wherever you need it and what’s more, you can run your recipes from your Apple Watch. Some months ago we introduced Geo Location to Neo and we are proud to announce that we have moved the level of control on even further. You can now decide what happens when you leave and return home by setting up your leave and return actions.